British Gas, one of the UK’s leading energy suppliers, has offered to pay £50 to any person who refers a “vulnerable” individual for free cavity wall and loft insulation from the firm. The incentive is being implemented as part of a wider campaign to improve the energy efficiency of households across the UK. If more homes in Britain were adequately insulated, the nation would be on target to meet its carbon emissions target. Improved domestic insulation would also benefit energy consumers, who could expect to save as much as £310 a year by installing loft (£175) and cavity wall insulation (£135). 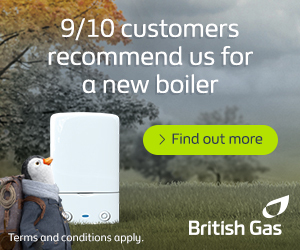 In order to avail of the offer, the person who is referred to British Gas must qualify as a vulnerable individual. This means that the candidate is either a pensioner (aged 70+) or in receipt of certain benefits – namely Attendance Allowance, Child Tax Credits, Council Tax Benefit, Disability Living Allowance, Disablement Pension, Housing Benefit, Income Support, Income-based Job Seeker’s Allowance, Income-rated Employment and Support Allowance, State Pension Credit, War Disablement Pension or Working Tax Credits. To be eligible for free home insulation from British Gas, candidates on qualifying benefits must earn less than £16,190 per annum. If the candidate meets these criteria, the referrer will receive a £50 payment. After the insulation work has been carried out, the beneficiary will also receive a payment of £50. At a time when energy suppliers are squeezing every penny out of customers, driving many into fuel poverty, the referral incentive offers at least three benefits: the £50 cash payment; the free installation of cavity wall and loft insulation; and that neither person involved in the referral need buy their energy from British Gas. Commenting on the incentive, Jon Kimber, British Gas New Energy’s Managing Director, said: “With household budgets stretched we know that people are looking at ways to save money. £1 in every £4 spent on heating is wasted due to poor insulation, so energy efficiency can have a massive impact”. British Gas is not the first energy supplier in the UK to offer an incentive of this kind. Southern Electric offers £25 in high-street vouchers, whilst E.ON offers a £100 cash bonus to struggling households. PREVIOUS POST Does Switching Tariffs Really Save Money?